I have a Super or a Windows key on my keyboard. As a Windows user I'm used to using it to open the start-menu. 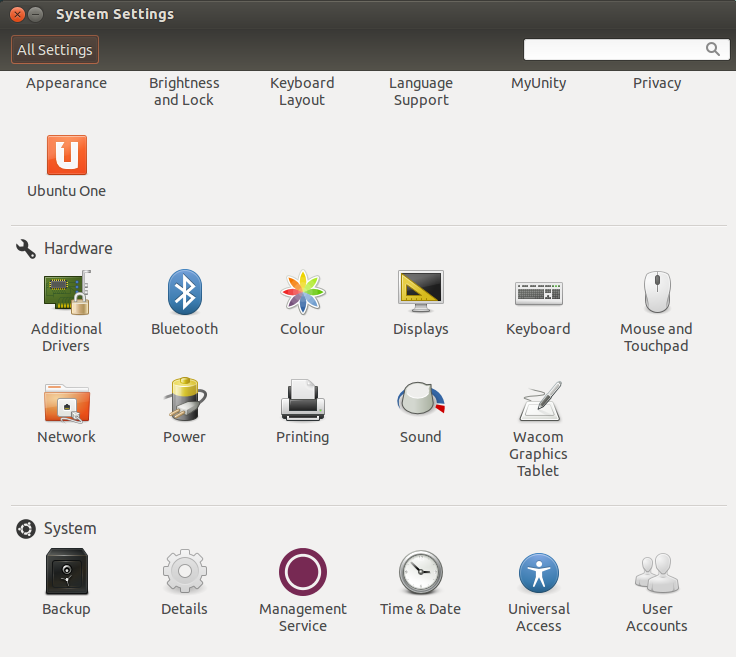 On Ubuntu its a very sensitive key. Sometimes when I press it by mistake the whole system goes crazy (music stops, one time the whole system even froze) because it activates a pre-defined key-bind. How can I turn off the additional powers of the Super key? When I press it I want it to do nothing. What you can try is to click on the power icon on the top right of the screen and select system settings. You will have the following menu come up and you'll need to scroll down to the Hardware group if you need to. Search through the types for those that use the Super (Windows on most systems) button and click on the shortcut and edit it as explained by the text underneath the window. You can either make your own shortcut combination or just disable the shortcut. Hope this was helpful. How do I disable the Super key? How do I make a key on the keyboard do *nothing*? 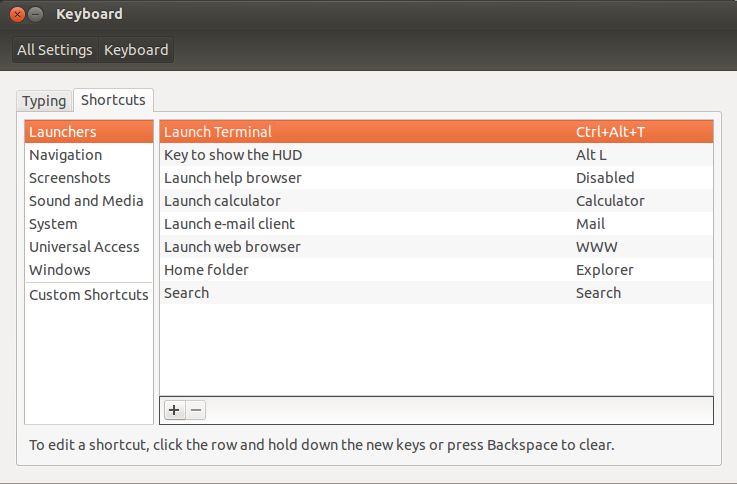 How can I select an open window in GNOME Shell's Activities view using the keyboard? How do I stop Ubuntu from intercepting the super key when running VMware? Why doesn't my substitution of the super key for the Alt_L key not work in all the cases?